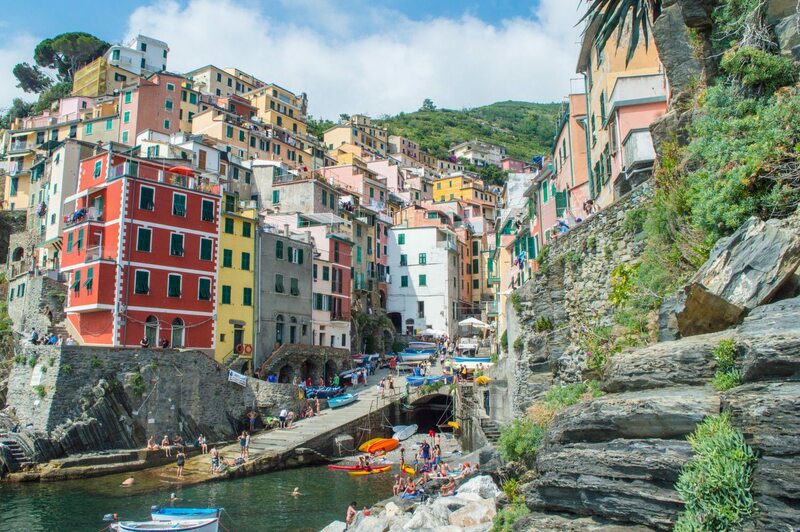 The first time I laid eyes on Italy’s beautiful Cinque Terre, I began giggling like a maniac. I’ve been there twice now, and I still get weirdly territorial over it. And nothing is worse when someone tells me it can be done as a day trip from Milan… When this is said, I legitimately start twitching. 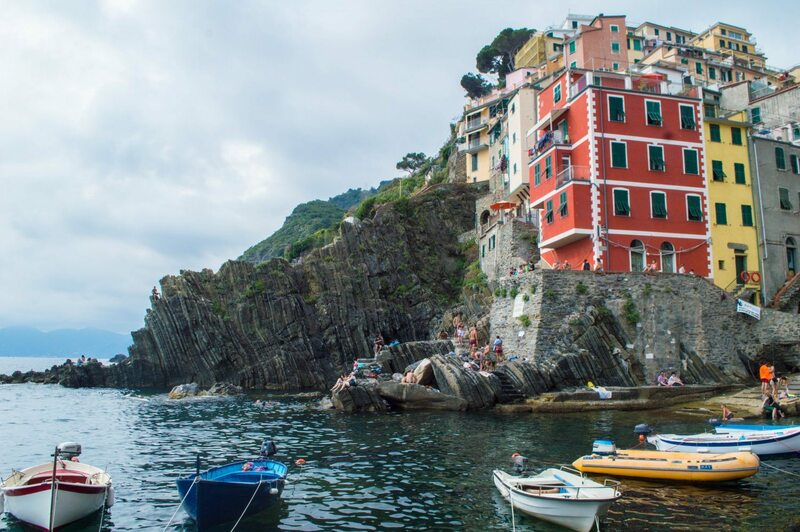 Listen: There is so much to do in Cinque Terre – more than just snapping the perfect Instagram photo or stopping by for a few hours. Nope. This is a dream destination well worthy of at least 4 days of your time… as I’ve done twice now. Having experienced the destination as both a relaxing girls’ getaway and a romantic hiking weekend, I feel like I’ve gotten a good feel for what this epic region has to offer… and I am so excited to share the list with you! If you’re wondering what to do in Cinque Terre, this bucket list is for you. PS: Everyone always has their own opinion about which village is best. Not to throw shade at the others, but my personal favourite is Manarola. To me, it’s the perfect base – painfully romantic, packed with amazing restaurants, great swimming and best of all, it’s wonderfully peaceful when the day trippers waddle off. I’ll let you decide for yourself though! Riomaggiore is a small fisherman’s town with a pretty little harbour rocking some of the best postcard views on Earth. Here are some glorious things to do in Riomaggiore! Unless you’ve been living under an Instagram-proof rock, odds are, you’ve seen the classic postcard snap of Riomaggiore. Because the village is so compact, this viewpoint is super simple to find. Just follow the signs towards the marina (or trail behind the mob of folks who are keen to see the same view). Don’t forget your swimsuit though – the swimming here is really nice when the water’s not too choppy, plus it’s a great place to laze about, people watch and enjoy the view. Extra tip: You don’t need to rent a boat to get a classic view of Riomaggiore from the water – there’s actually a rocky bit that you can walk up to that juts out. Shhh, don’t worry though – your secret is safe with me. You’ll see everyone strutting around with these. Follow your nose & your tastebuds will thank you. There are a lot of options around town but Il Pescato Cucinato and Tutti Fritti are popular favourites. Of course do this at your own risk!! Right by the harbour, during peak season, you’ll likely see a lot of young locals going for a swim (I swear they had their own private rock there) and many of them climbing up a nearby cliff and jumping into the water. As the blogging community’s token wuss, I didn’t dare attempt this, but my boyfriend did and it was one of the highlights of his trip. Things to do in Cinque Terre: cliff jump in Riomaggiore! Bonus points if you snag yourself a a pizza and sweet bottle of vino. There’s something inexplicably magical about watching the village light up in golden hour colours, plus all the daytrippers will be gone by then as well, which cranks up the romance to “Notebook” level swoon. A lot of outdated articles will tell you to hike the Via dell’Amore. Sadly I must tell you that this world famous hike has been closed for years due to a rockslide in 2012. While it was still possible during my last visit (July 2016) to hike to Manarola through the stunning 531 trail, various traveller reports say that as of Summer 2017, this trail is now closed for safety reasons. I’m not sure when it will open back up again, but if you can find a way to hike to Manarola, do it – it’s so worth it. Although, you should be sure to visit the Tourist Information Center to get the latest info on whether this is actually possible. Manarola is hands down my favourite village and the one I know best. I stayed here both times I visited Cinque Terre, and even wrote a comprehensive post about where to eat! The whole town is steeped in this romantic ambiance you can’t shake, and the food, views and swimming are glorious. Here are some amazing things do in Manarola! PS: If you’re still looking for a place to stay, you can check out my Manarola accommodation guide here. If you follow the main road in Cinque Terre towards the sea, look down and you’ll see a natural swimming pool of sorts where people are sunbathing on big rocks and splashing around like the happiest effing people on Earth. Since there are no real beaches in Manarola, here is where you would go for a swim/tanning session. Swimming here (at the base of town) is SO nice in the summer and I couldn’t recommend it more! Note: there’s ladders to help you get in and out, but be careful: the rocks are really slippery. I once accidentally cut myself on a rock as well, so bring water shoes if you want to be careful. 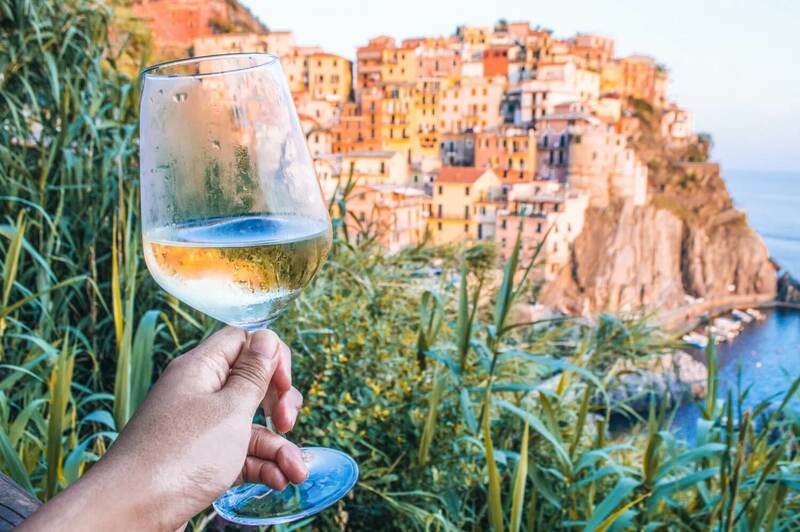 This restaurant is legendary, and probably THE most iconic view you can get in Manarola, alongside delicious wine, bruschetta and all sorts of droolworthy platters. And in spite of its prime real estate, the menu here is surprisingly affordable too. You can’t miss this experience when you’re in Cinque Terre. Prepare to stay as long as you can (without getting dragged off by security). At the base of town, you’ll find a natural swimming pool (as previously mentioned) and besides being a perfect swim spot, it’s also a wonderful place to watch the sun dip down behind the mountains. Honestly, you might cry a little. If you’re up for a mini-hike, escape the crowds in the town center below and climb up to Manarola’s vineyards. It’s a doable uphill walk along a narrow path, but the views are more than worth it. 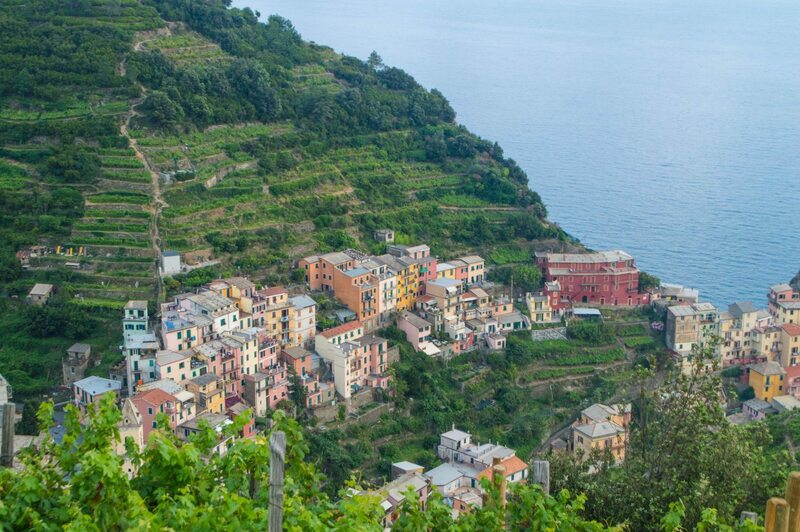 Imagine lush, terraced vineyards set against the glittering cobalt sea (and a chance to see how some locals make a living). Check out this detailed post on how to do this walk! PS: If you get a chance, stop by the village cemetery as well. It’s beautiful. Corniglia is Cinque Terre’s middle child, literally. Located 100m above the sea, getting to the town center requires either climbing up 350+ steps or taking an unreliable shuttle bus. Once you’re up though, you’re rewarded with beautiful views and a magical tangle of narrow streets that give this village a timeless feel. Here are some things to do in Corniglia! There aren’t a lot of “sights” and attractions in Corniglia, but there are a handful of pretty churches to look at it. Click here to read more about them. *drools excessively* You can’t miss this place. It’s just off of the main square and there will be a massive queue of people waiting, but trust me – it’s worth it. This gelateria whips up amazing flavours made from local ingredients like lemon, honey and even basil (sounds weird but go for it!) After climbing all those steps, you deserve it. As the middle village, you’ll likely find yourself in Corniglia at some point if you’re hiking. I know that doing all the hikes might be unrealistic, so if you need to prioritize, I’ll say this: the hike from Corniglia to Vernazza was one of my favourites in terms of views. Both of these towns look ahhh-mazing from above, plus there’s an awesome little cafe bar halfway along the hike where you can grab a lemon slushie (or something harder if you prefer). To date, it is still the best lemon slushie I’ve ever had. Vernazza is a picture-perfect paradise town with pastel streets to roam through, a pretty harbour to relax at and of course, around it are some of the best hiking views along the Cinque Terre trail. Here are a few things to do in Vernazza! PS: If you’re still looking for a place to stay, you can check out my Vernazza accommodation guide here. Some people consider Vernazza to be the beauty queen of the five villages. I’m still partial to Manarola, but there’s no denying that this town has some truly spectacular views. 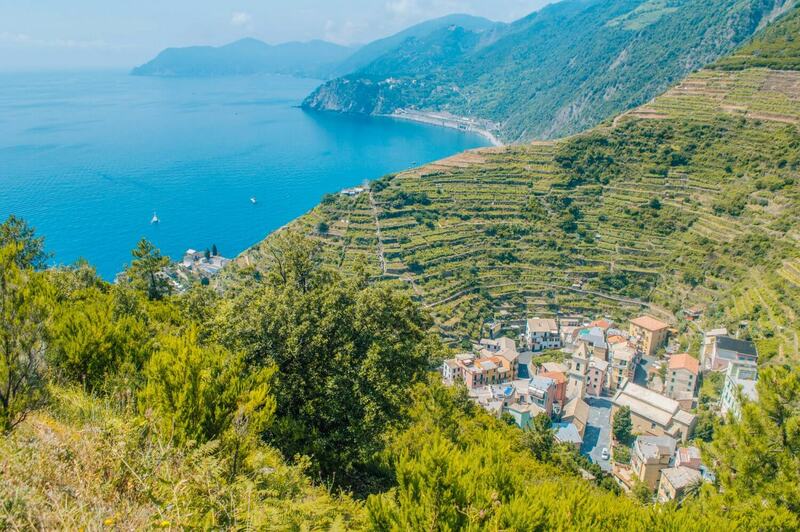 Hiking about 20 minutes (just follow the signs for Monterosso al Mare) will get you to the classic postcard shot (pictured below on the right) but note that you do need a Cinque Terre card for that as it’ll be part of the paid trail already. If you have extra time, hike to Corniglia. The views are just as spectacular! 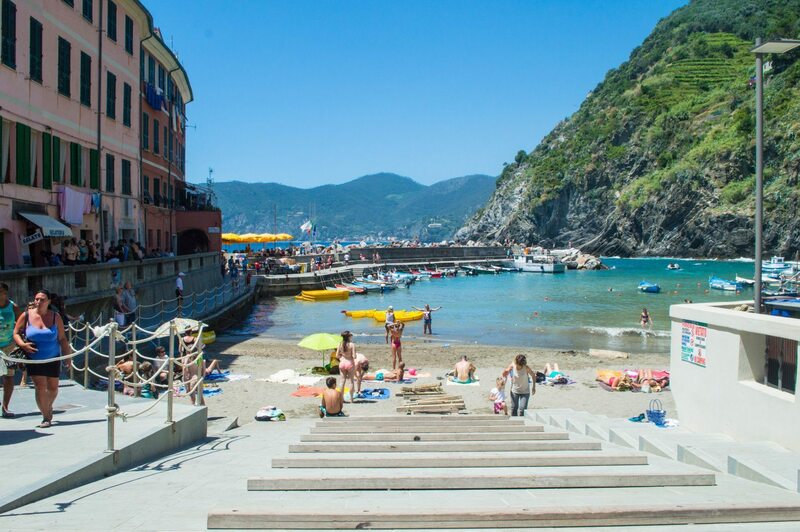 Located right by the harbour, Piazza Marconi is Vernazza’s main square and offers a little hub of restaurants, and of course, quick access to the beach/swimming area. Don’t miss the Church of Santa Margherita d’Antiochia, whose bell tower is undoubtedly one of the most distinctive sights of the Vernazza “skyline” (if you can call it that). If you’re feeling particularly fancy, I’ve heard amazing things about Ristorante Belforte, which can be found near Doria Castle and offers some seriously ridiculous mealtime views. Not a bad place to treat. yo. self. Climbing the steep spiral stairway up to the top at Doria Castle earns you a stunning view of both the city, sea and vineyards. Plus, it only costs 1.50 euros! Monterosso al Mare has a very resort-y vibe. If you’re after a classic beach holiday with like long lines of umbrellas on beaches, then you’ll like it here. It also offers great shopping and a lot of restaurants to choose from. While it has (in my opinion) the most touristy vibe, it’s still a beautiful town with tons to do. 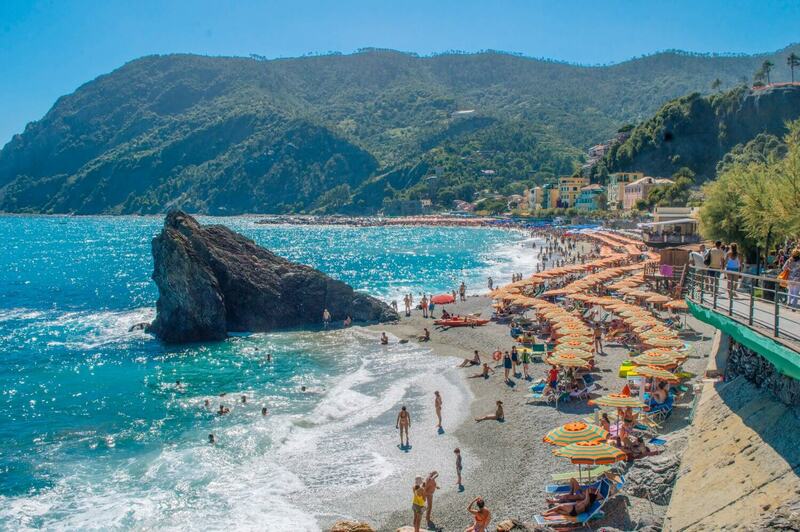 Here are some things to do in Monterosso al Mare. PS: If you’re still looking for a place to stay, you can check out my Monterosso accommodation guide here. Monterosso by far has the most options for shopping among the five villages of the Cinque Terre, so go here to stock up on any souvenirs or goodies for home. Pesto, olive oil, and wine are always a good idea 😉 I loaded up on goods from Cantina du Sciacchetra, and had some fun browsing through different art shops as well. Don’t miss some of the smaller side streets – you never know when you’ll find an adorable little boutique or shop. This is the oldest wine shop in town, so be sure to stop by for a little taste (and to fill your suitcases with sweet, sweet wine). I adore the crisp white wines from Cinque Terre – they go so perfectly with seafood it’s ridiculous. Be sure to try some in a restaurant, or sample your heart out at an enoteca. A well known specialty the delicious (and expensive) dessert Sciacchetrà wine, but check out this post for a more thorough explanation of Cinque Terre wines (way better than I could ever do). 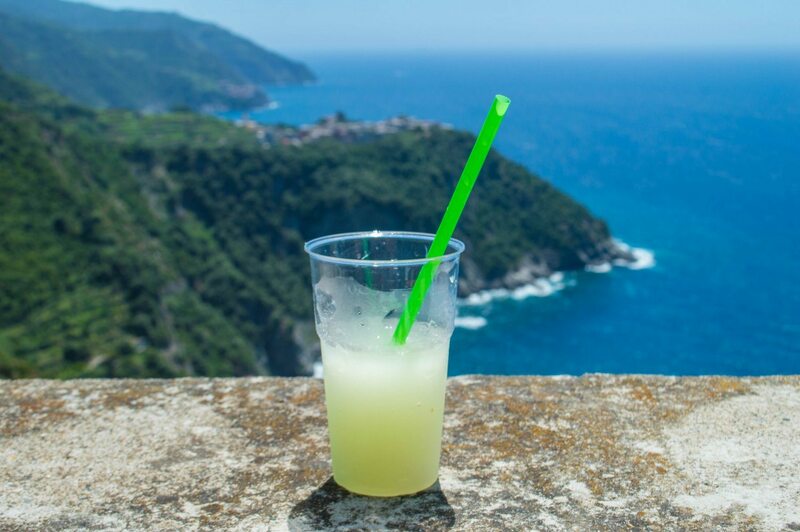 As the ‘beachiest” town among the five, it’s no surprise that one of the best things to do in Monterosso al Mare is to simply enjoy the sun. Access to the beach itself is free but you need to pay to rent sun chairs, umbrellas, etc. Worth every penny though, I assure you. There are several beautiful (but small) churches to be found in Monterosso al Mare, including the Church of Saint John the Baptist and the nearby Oratory of the Confraternita dei Bianchi. 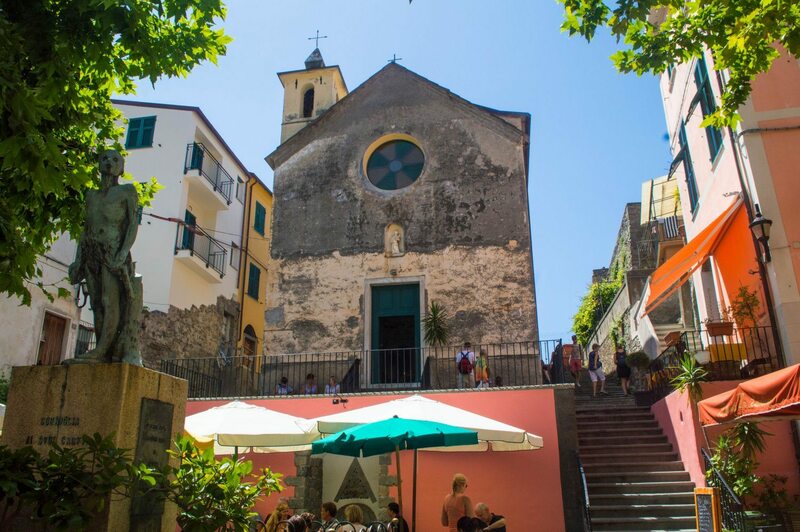 Click here for a more detailed list of churches in Monterosso and their descriptions. 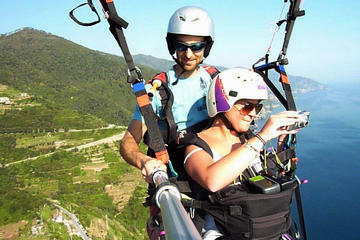 Adrenaline junkies will be happy to hear that there are opportunities to paraglide here. Can you imagine the views?! Just um, don’t drop your camera. La Spezia might as well be Cinque Terre’s honourary 6th member. It’s located just a few minutes by train from the others and offers a bunch of unique activities for you to try, including a traditional cooking class! Click here to browse prices and availability. Traditional Home Cooking Experience at the Cinque Terre – $78.49Enter a beautiful location at the Cinque Terre and experience an authentic hands on cooking class with a passionate local chef. Enjoy the dinner with a fine selection of wine on the panoramic terrace. Levanto is also closely linked to Cinque Terre’s villages by train. One of the awesome activities you can try here is a pesto making class, learning to make some Genoese pesto from scratch. AKA the subtle art of making all your friends jealous. Click here to check prices and availability. 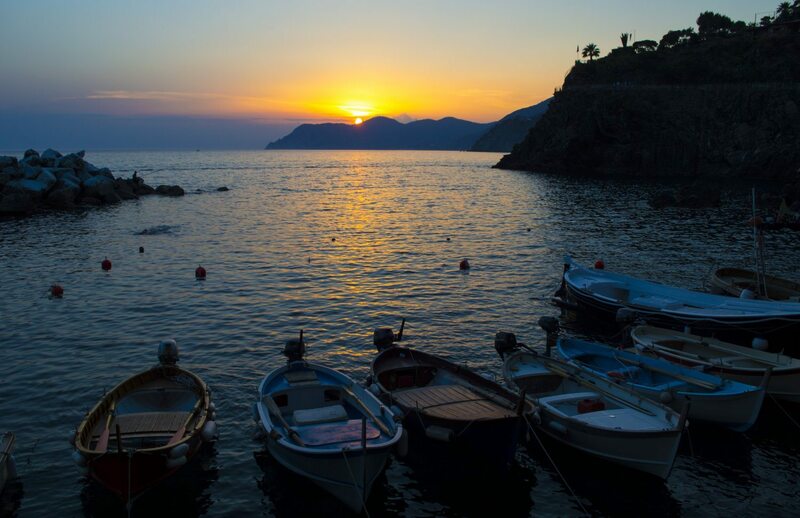 If you want to get out on the water, I have spotted plenty of kayak rentals in Vernazza, Monterosso al Mare and Riomaggiore. Those feeling especially adventurous can even book a 5 hour kayaking tour from Monterosso! Boats boats boats. If you’re feeling extra splurgey, why not enjoy a boat tour and appreciate the villages from the water? There are a lot of different options, from sunset cruises to even boat + cooking lesson combos. A more budget friendly alternative would be to take the ferry from town to town. Click here for more info. Yeah it’s a ridiculously stunning place!!! <3 One of my favourites. 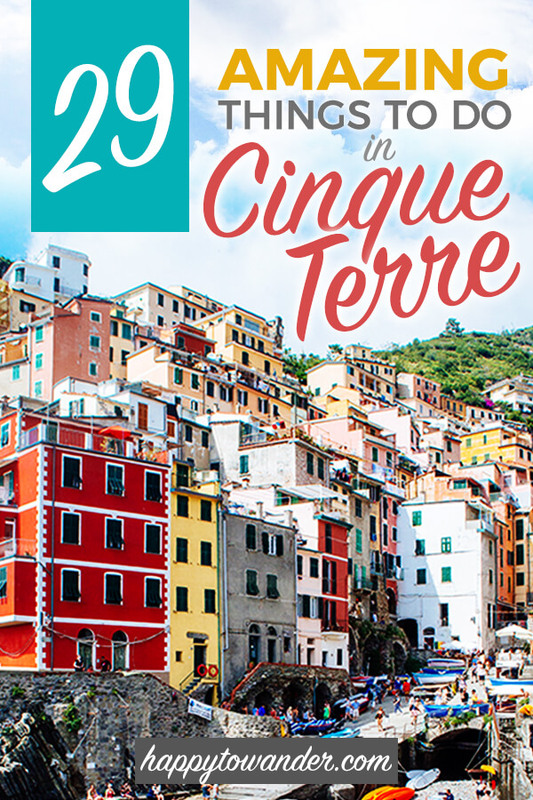 We are thinking of visiting Cinque Terre next week, so this is super helpful. I might have to print your suggestions. 😉 Thank you! You have to go, Jurga!! It’s such a gorgeous place. And the food – well you already know how I feel about it haha. Hope some of these tips come in handy! SUCH A BEAUTIFUL POST!! Love the photos and great info. I miss the PESTO in Cinque terre! Soo good. THANKS DAVE! <3 And ugh yes the pesto... and pasta. And everything really. I needa get back to Italy stat. So bummed I didn’t make it to Cinque Terre. It was on my list when I was in Italy, but my plans changed. Your pictures are making me regret that. There’s always next time! 🙂 After all, there’s no such thing as a bad excuse to go back to Italy haha. I absolutely loved Cinque Terre when I visited and your post is making me want to jump right back on a plane and visit again! I’m so impressed by your photography – so wanderlust inspiring. I visited Nessun Dorma for a glass (more like a few glasses) of wine, however I didn’t get the chance to take a cooking class. Thanks for sharing! Wow, so much info! I really want to go to Cinque Terre but I fear it’s so touristy now and full of people trying to get that perfect Instagram shot. 🙁 ….which I would probably be doing too, for about 5 minutes! Haha there definitely is an aspect of that, but if you’re strategic about when you go, you can avoid a lot of the crowds. One smart thing to do is to just stay in your favourite town and get up really early – lots of the tourists are day trippers 🙂 and of course to go more in shoulder season. This is one of the few touristy parts of Italy I’ve yet to conquer, and I hear it’s one of the best! Great photos and guide—I pinned for reference when I make it there someday! Hahah those hikes are definitely no joke! I’m really happy I got to see the towns that way, but next time I think I’ll probably be lazy and go for the train instead 😉 Thanks for reading, Kareemah! I hope you get to see CT in all its summer glory sometime soon. I couldn’t agree more! Cinque Terre is SO much more than a day trip. You can’t even see it all in a day, let alone get a true taste for it. I visited a couple of years ago and fell in love! I’d love to return. I loved this post and all the useful info, I will for sure go! I was here back in 2008 before the mudslides of 2012. I’ve always wanted to go back. I stayed in Vernazza but also thought Manarola looked lovely. I can see why you like that one best. I’m definitely bookmarking this for a future return trip! Wow I wonder how different it was back then! Probably way fewer tourists than these days hey? 😉 I hope you make it back sometime soon. Thanks for reading, Lynne! This is such a good guide! Normally people just focus on the views and gorgeous scenery, so I’ve never actually known what there is to see and do in Cinque Terre! Aw Danielle thank you SO much!!! I definitely felt the same way when reading guides online so felt it was time to intervene and showcase all the other epic things to do 😉 Thanks for reading + leaving a comment! Yes Cinque Terre! I was there last September and (even though it poured down with rain halfway through the day), it was so beautiful. I ate so much gelato on that trip! Haha! Your photos are gorgeous btw. Thanks for sharing and bringing back some great memories (and some cravings for gelato too)! Aw – such a shame about the weather you had but it sounds like you still made the most of your trip! 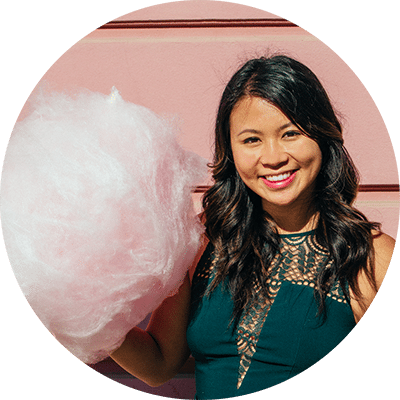 Thanks so much for reading and for taking the time to leave a comment <3 you rock, Amy! what an amazing post ! thanks for sharing your tips! We love Cinque Terre and Manarola was our favourite! Thanks a lot for sharing such a comprehensive list of tips. Wow, this is a phenomenal guide. Found you on pinterest, and now following along! Heading to Italy this year (and Cinque Terre for the second time) and I am definitely going to reference this is my planning. Thanks a bunch! Woo! Thanks Christy 🙂 So happy you liked it. Have an amazing time in Cinque Terre!